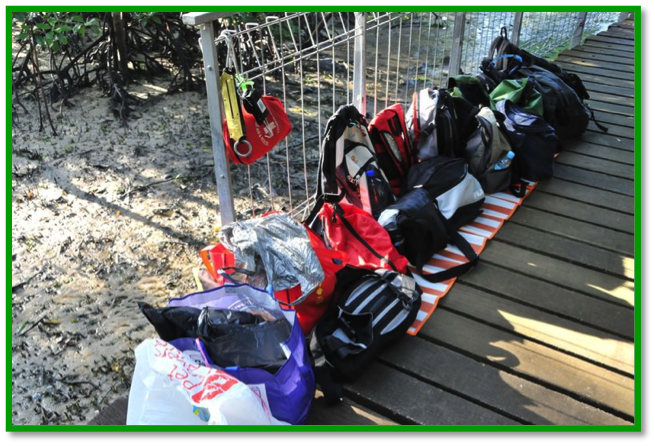 Bags Area – Centralize bags together so that volunteers do not have to carry them while working. 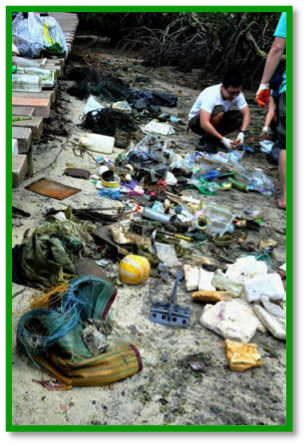 Appoint a volunteer (usually the data recorder) to look after the bags. 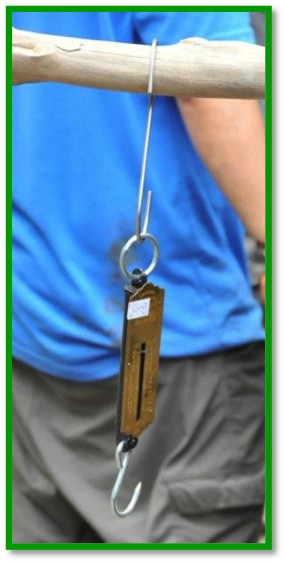 Get a Pole – In every cleanup we can always find a strong pole or branch for our weighing. The spare hook here allows us to hoist up the weight using the pole instead of sheer muscle man so girls can do the job too! 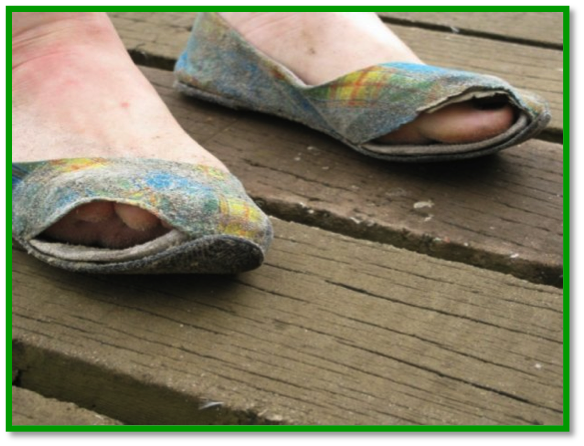 Losing your Sole – Classic example of a good shoe ruined by the mangrove. Usually volunteers with inappropriate shoes will be tasked as data recorder and sit near the dry area to guard our bags and monitor time. 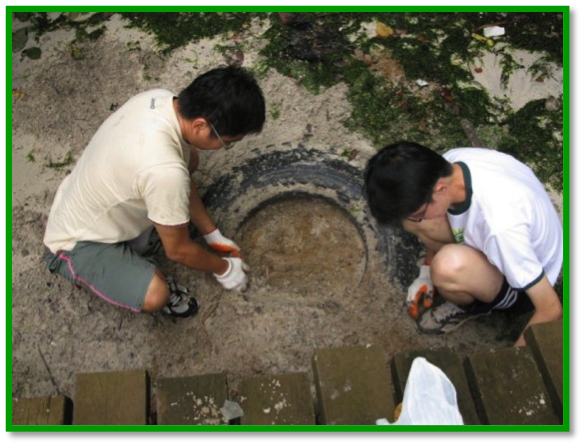 Large Tire – [Operation Tire] took about 40 mins to extract as it is buried in compact sand. After some loosening, the tire resurfaced and adds onto our collection of treasure. 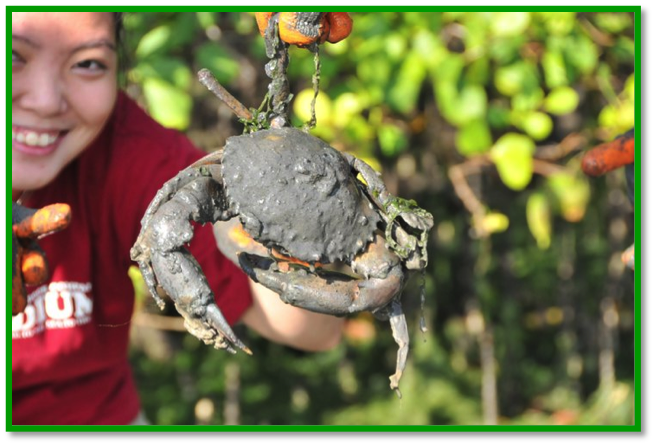 Marine Life – This large crab attacked us as he escaped from the barrel we dug up. We are happy for the feisty creature and set it free after a photo record. 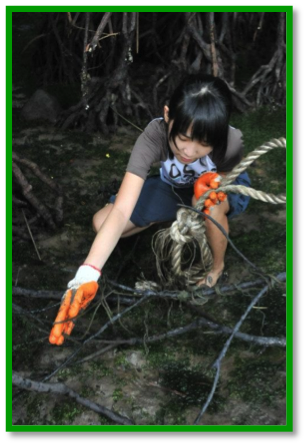 Entwine – The tussle ends of large marine rope are often found wrapped around mangrove roots. 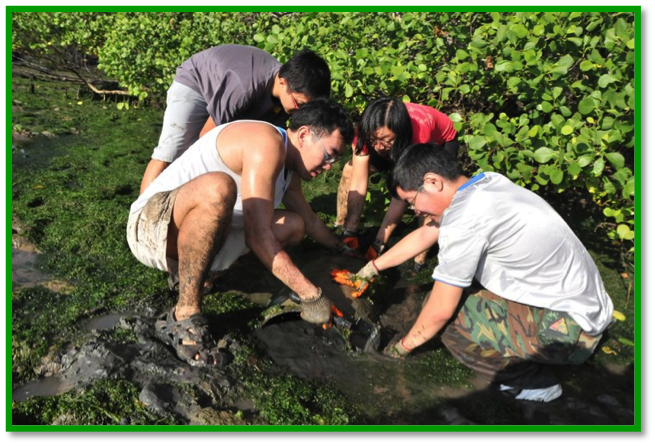 Volunteers can wriggle free some parts but eventually cutting tools such a handsaw would be needed in this instance. 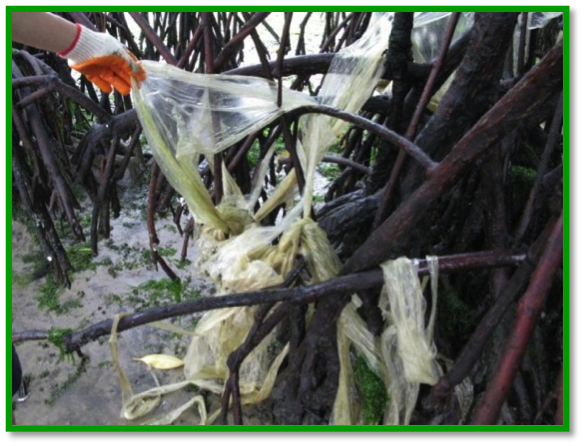 Silent Killer – It is amazing to see how plastics can choke up the mangrove tree roots as the tides comes in and goes out daily, the plastics find their way to wrap themselves tightly, suffocating the roots. S7: move trash to trash disposal point. I had heard that NEA had teamed up with Buuk Private Pte Ltd which brought us WeatherLah and DenguLah, and was pleased to discover the result, hopefully the first of many! 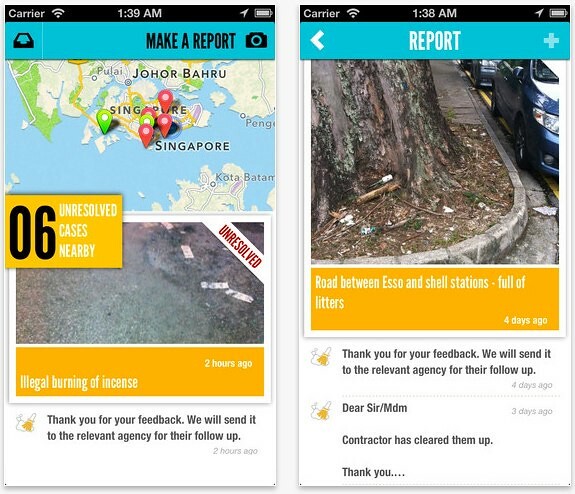 This app will enable timely and fuss free reports when a mess is detected around the island. It is location aware so description-challenged individuals will find it a boon! No more excuses about not reporting a problem – grab your copy from iTunes now! Requires iOS 5, is iPhone 5 ready. Also available for Android phones, thanks Ria Tan!